Waverley Abbey House is a Grade II* listed Georgian mansion overlooking the water meadows of the River Wey and the ruins of the ancient Waverley Abbey. The original house was built in 1723 by Sir John Aislabie, Chancellor of the Exchequer at the time. In the 19th century, the house passed into the hands of George Nicholson, uncle of Florence Nightingale who also frequently visited Waverley Abbey House. Sir Walter Scott, author of the Waverley Novels, is also believed to have been a visitor to the house. During WWI the house was used as a military hospital, caring for over 5000 sick and wounded soldiers. The Commandant, Mrs Rupert Anderson (the owner’s wife), was awarded an OBE. 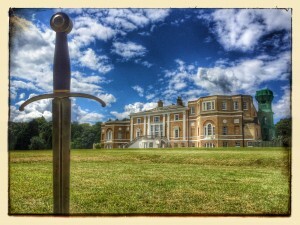 CWR, a Christian charity, are the present owners of the property, having purchased Waverley Abbey House in 1983. Many of CWR’s Christian courses and events take place here, while bookings for general meetings, conferences, special occasions and bespoke events are also welcome. The extensive grounds can be hired for marquee functions, outdoor events and film and photography shoots. In 2014, after 24 years of performing our summer shows at Farnham Castle we were very sad to leave, but fate had in store something wonderful and our move to Waverley Abbey House was both thrilling and fortuitous. 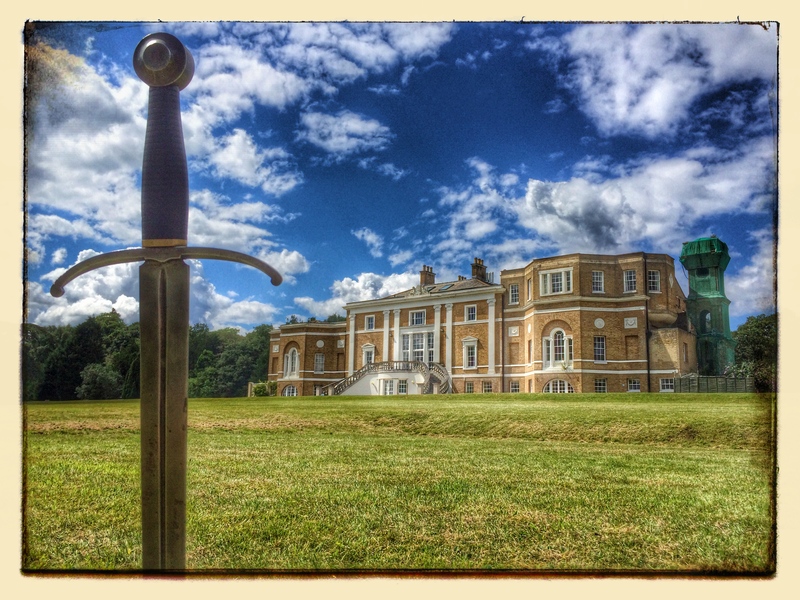 With the spectacular backdrop of the house, the sheer delight of the space offered tremendous opportunities and it’s ample picnic spots made Waverley Abbey House the perfect venue in which to continue our proud tradition of bringing the best of open air theatre to Surrey. 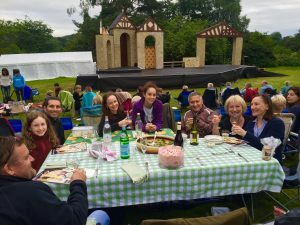 Our audiences enjoy space to spread out, wandering across the bridge to the ruins of the historic Cistercian Waverley Abbey itself, or strolling around the gardens admiring the lake and its beautiful water lilies before the show starts. Parking is convenient, and the house is an easy 10 minute drive from the centre of Farnham.